The Dukes has been used in the second half of the past two Sheffield Shield seasons as Cricket Australia tried to remedy the way Australian batsmen floundered against its sharp swing in recent Ashes. Whereas the Kookaburra ball used in the first half of the season doesn’t offer much to bowlers, many Shield quicks have earned significantly more swing and seam with the Dukes. Stoinis (180 runs at 16) and Maxwell (117 runs at 19) have laboured against the Dukes in Shield matches, while current Test opener Marcus Harris has averaged only 33 against the Dukes in 11 Shield games. Matt Renshaw – 648 runs at 73, including three tons and two half centuries. Joe Burns – 635 runs at 53, including one ton and four half centuries. Kurtis Patterson – 698 runs at 47, including six half centuries. Travis Head – 600 runs at 40, including two tons and two half centuries. 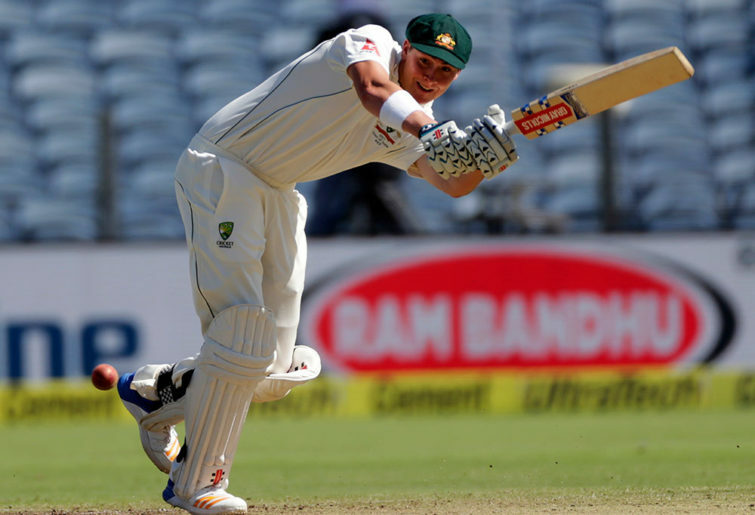 Marnus Labuschagne – 707 runs at 39, including two tons and three half centuries. Marcus Harris – 667 runs at 33, including two tons and two half centuries. Those figures reflect especially poorly on Stoinis, who is now Australia’s first-choice batting all-rounder after being included in the Test squad for the recent series against Sri Lanka ahead of Mitch Marsh. The likes of Shane Warne and Ian Healy have called for Stoinis to be in Australia’s starting XI in the Ashes. Presumably they are unaware of how badly he has handled the extra swing and seam offered by the Dukes during the six matches he has played involving this English ball. Stoinis won’t soon get a chance to prove he can overcome this issue as he likely won’t play another Shield match this summer due to limited overs international responsibilities. The same goes for Maxwell although he seems to be on the nose with the selectors anyway and is unlikely to make the Ashes tour. Harris, too, is not flattered by his returns against the Dukes and is under major pressure to retain his Test place. 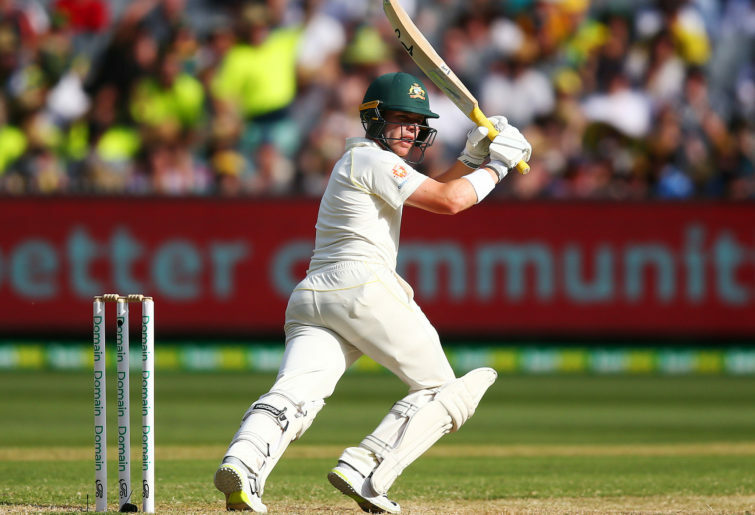 The banned David Warner appears all but certain to regain his opening spot for the Ashes, which leaves Harris to compete with Burns and Renshaw for the second opening berth. Burns comprehensively outbatted Harris in the two-match series against Sri Lanka, in which the 26-year-old Victorian got out to a series of lazy shots. Harris has never played a first-class fixture outside of Australia so his returns against the Dukes are the only indicator of how he may perform when met with foreign conditions. In his defence, Harris has shown improvement against this ball. In the 2016-17 season he averaged just 29 opposed to the Dukes before averaging 38 against it last summer. If the Australian selectors drill down on stats in this manner – as they should – then his record compares very unfavourably against those of his two main competitors Burns and Renshaw. Burns has been consistently effective at blunting the Dukes, with eight scores of 30-plus from his 13 innings against it. However, the 29-year-old Queenslander has not handled the Dukes as well in the UK, averaging 32 from his 15 first-class matches there, although the last of those appearances was in 2015. Then there’s Renshaw, who has a gobsmacking record against the Dukes both in Shield and county cricket. The 22-year-old has churned out 1,161 runs at 61, including an extraordinary six tons, from his 12 first-class matches involving a Dukes ball. Renshaw was a revelation in his debut county season last year, scoring three tons in his first four matches despite facing the green, seaming pitches typical of the early part of the English season in April and May. That performance seemed to have vaulted him to the front of the Ashes pecking order but then he had a very poor first half of the current Shield season. It will be interesting to see whether the return of the Dukes in the Shield later this month will help Renshaw. This swing-friendly ball will give the selectors an early opportunity to see which of the batting contenders looks best suited to playing in the Ashes.